Being Outdoors is Therapeutic for Veterans with PTSD | Crockett Foundation - Tag In & Help Out! Wilderness therapy, or outdoor therapy programs make use of nature to teach participants habits and skills useful to managing symptoms of depression. By working through team challenges and solving problems outdoors in these programs Veterans with Post Traumatic Stress Disorder (PTSD) can gain a greater sense self-esteem and reconnect with their sense of being effective in society. When Veterans are outdoors they experience important calmness that translates into freedom to become more mindful. Being mindful is particularly key in a form of therapy known as dialectical behavior therapy (DBT). This type of formal therapy encourages people to accept things that make them highly uncomfortable. That acceptance of the feeling is a means to avoid the actual struggles that normally come with the feeling. DBT can be an effective way for chronically suicidal Veterans with PTSD to change that chronic feeling and improve their own lives for the better. Being outside, of course, is a good way to slip exercise into your day, which is a very useful way to manage short term or long term depression. Exercise boosts production of our body’s natural pleasure endorphins. It can be especially helpful to Veterans living with PTSD to spend lengths of time in the wilderness. Healing takes place in the outdoors. We feel it in small bursts when we smell fresh air and get our blood pumping just walking or playing outside. On a deeper level extended activities outside as part of a healing program can make a lasting difference in our health and lives. In a crowded city center there are many places to hide electronic devices and weapons, so it makes sense that combat Veterans might have a hard time relaxing in shopping malls or on busy highways. Those hiding places don’t exist in the outdoors. Neither do the greed, hatred, and fruitless violence that sometimes accompany life in the center of a city. Outdoors is a relatively safe place to be. Many of us have experienced improvement in our mood by finding ways to get outside for a few minutes each day. We can absorb nature with all 5 of our senses by listening to the bees and birds, smelling freshly tilled soil, picking and tasting berries, and by looking closely at the parts of a beautiful flower. Choosing 1 of the 5 senses to focus on, for a short walk outside the house, can be a great short exercise for boosting our mindfulness practice. Listen for wind chimes, perhaps, or keep your nose attuned for the scents of dinner cooking throughout the neighborhood. Being mindful of our senses is even a great conversation piece during group exercises outdoor with people we don’t know yet. Talk about bird calls, for example, or the wafting scents coming from the nearby garden. Group activities outdoors or in the wilderness allow participants to relax, rejuvenate, heal, and build relationships. For Veterans there are a number of organizations around the country that specialize in providing fun and healthy outdoor activities to Veterans living with PTSD. Some provide boat outings and other water activities for veterans and family members. Some deliver an adventure therapy experience to help Veterans heal the psychological wounds of combat and war. Some facilitate camaraderie amongst disabled Veterans by helping them enjoy SCUBA, and some enhance camaraderie by organizing golf outings. Some say their goal is to help warriors relax, to help them rehabilitate, and to help them reintegrate into group activities through peaceful exercises surrounded by nature. At the Crockett Foundation we’re working to identify the best Veterans charities so your donation with us goes to support their noble missions. With our international audience we’re in a wonderful position to support some of the best Veterans charities who just might need a boost of funding here and there. We’d love for you to be a part of our team. 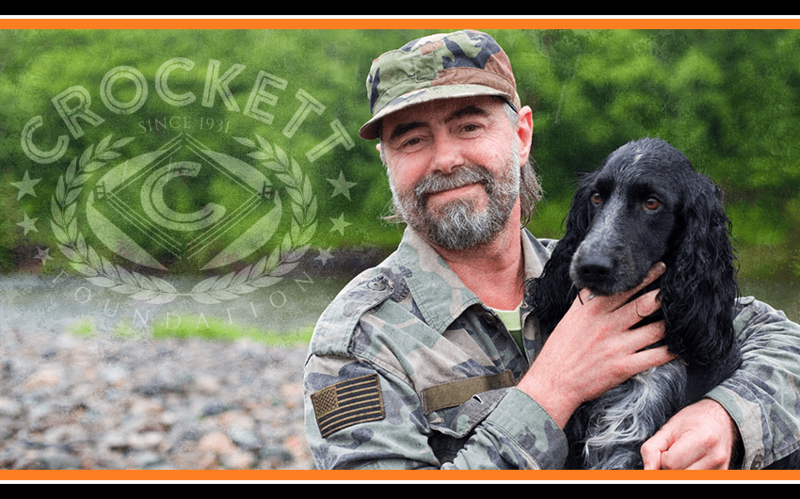 To help Veterans living with PTSD to have greater joy in their lives you may donate to the Crockett Foundation here.